The BBC, Battersea Arts Centre and Arts Council England are working with independent theatre-makers from across England to create five pieces of genre-busting theatre for BBC Four and iPlayer. will feature interweaving and eclectic performances from Gecko, Richard Dedomenici, Touretteshero and Common Wealth across a two-hour live broadcast on BBC Four on the evening of Sunday 15 November. Islington Community Theatre will create a fifth performance released exclusively on BBC iPlayer the same day. 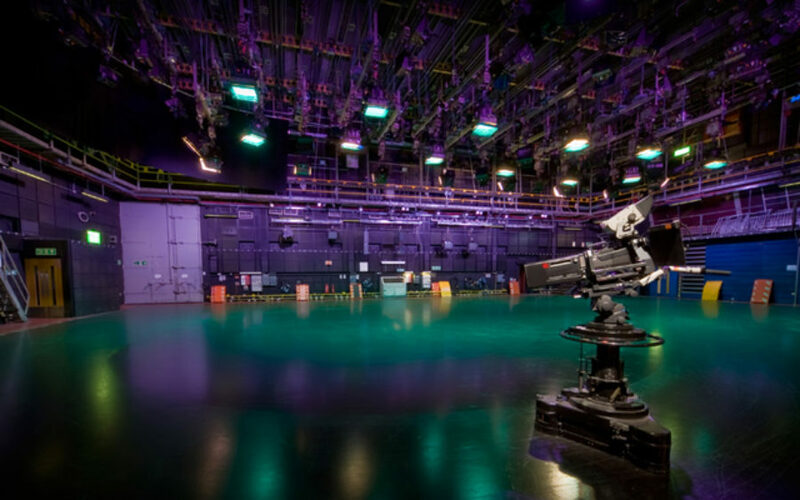 All will be filmed in the iconic Television Centre complex, in Studio One and the Drama Block, for the first live broadcast there since 2013. This exciting piece of ‘theatre for television’ will include brand new performances and adaptations of existing pieces with short pre-recorded segments integrated within the live broadcast. – David Jubb, Artistic Director and CEO of Battersea Arts Centre. Performances include by Gecko, telling the story of one man’s journey through a series rooms, each a vividly invoked moment of his life. by Richard Dedomenici recreates pieces of TV Gold in inventive ways, while by Touretteshero is a comedy of errors with artist Jess Thom, who cannot help but shout out “biscuit” 16,000 times a day. by Common Wealth is based on interviews with Muslim women boxers, and won The Scotsman Fringe First show for its challenge to stereotypes and celebration of fearlessness. The last performance by Islington Community Theatre for BBC iPlayer follows a sell-out run at the National Theatre and invites viewers to enter the lives, bedrooms and minds of teenagers. is part of the BBC’s On Stage – a season of programming across the BBC that celebrates all of Britain’s incredible theatre talent, from world-class actors to cutting-edge regional theatre. On Stage will also see Ian McKellen and Anthony Hopkins star in a new TV production of The Dresser, directed by Richard Eyre. In addition, a BBC documentary will follow 11 theatres across the country to see how they tackle “an array of challenges – on stage and off”.